When it comes to Infrastructure-as-a-Service, Amazon Web Services (AWS) is playing follow-the-leader. And everyone else is following, with only one company -- Microsoft -- even within sniffing distance of it. At least, that's how research firm Gartner, Inc. sees things currently. 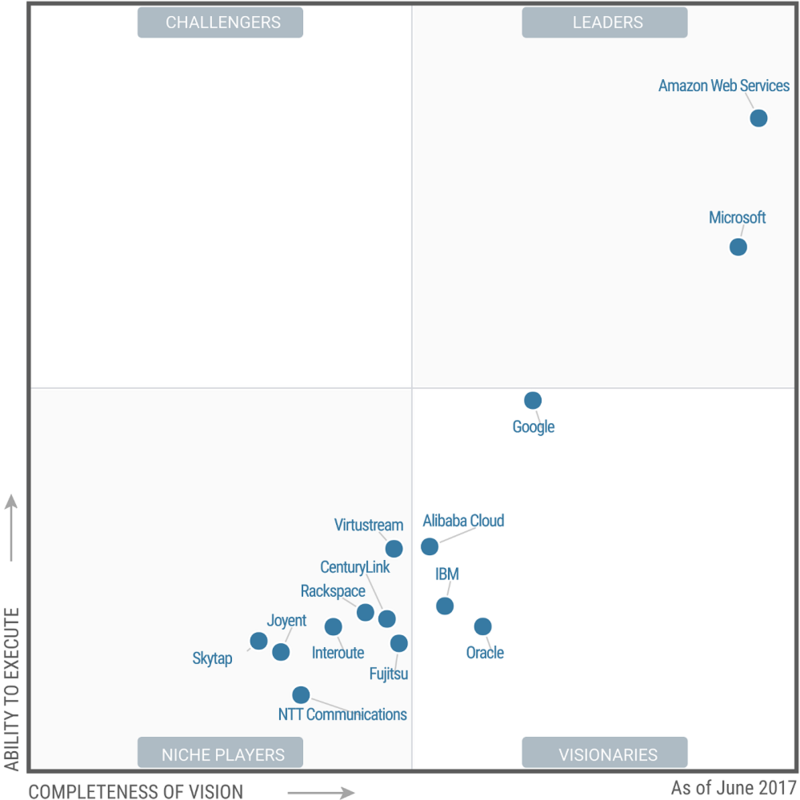 In its new Magic Quadrant report, AWS is plotted off by itself, leading both axes, with only Microsoft joining it in "Leaders" status. Only Google, Alibaba Cloud, IBM and Oracle were in the "Visionaries" section, while the "Challengers" section was empty. 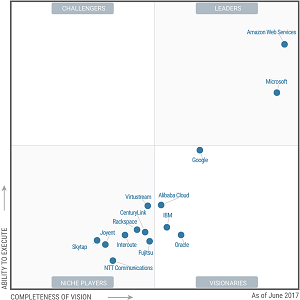 All of the other eight IaaS providers were deemed "Niche Players." "AWS remains the dominant market leader, not only in IaaS, but also in integrated IaaS+PaaS, with an end-of-2016 revenue run rate of more than $14 billion," the report said. 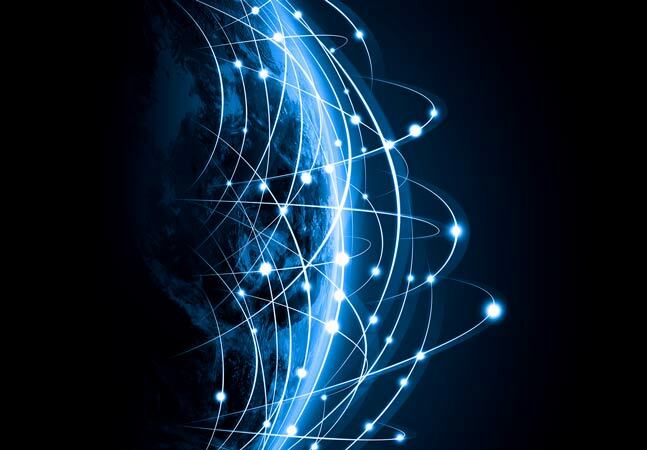 "It continues to be the thought leader and the reference point for all competitors, with an accelerating pace of innovation on top of an already rich portfolio of services, and an expanding impact across a range of IT markets. 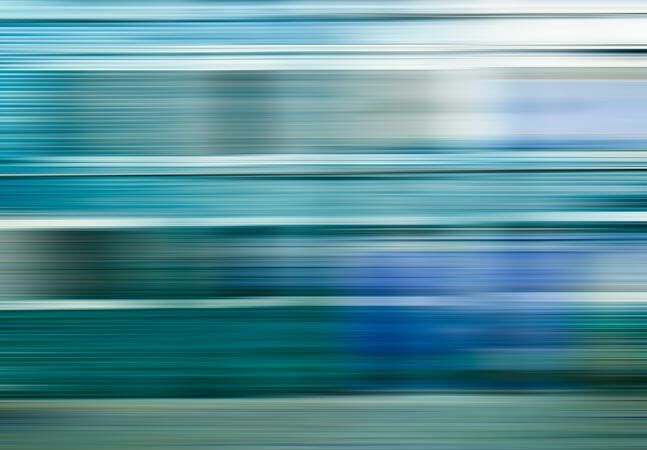 "It is the provider most commonly chosen for strategic adoption; many enterprise customers now spend over $5 million annually, and a few spend over $100 million. While not the ideal fit for every need, it has become the 'safe choice' in this market, appealing to customers that desire the broadest range of capabilities and long-term market leadership." The research confirms the findings of many previous studies of the cloud space: AWS is the unquestioned leader (with a huge head start in the industry), while competitors -- mainly Microsoft -- are chasing it with faster growth rates but still remain far behind. In fact, AWS and Microsoft were alone as leaders in last year's report on the same subject. 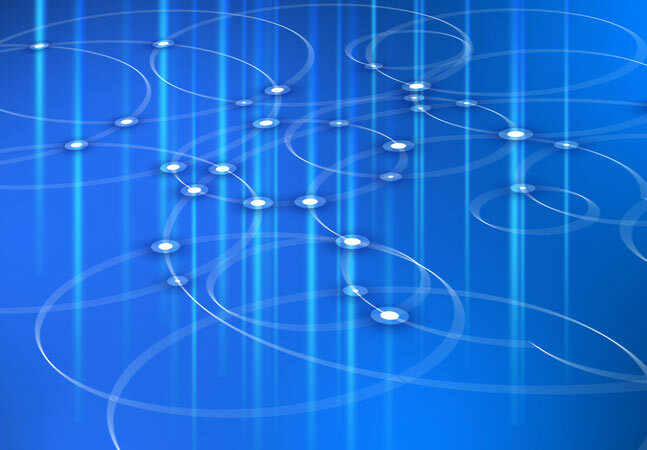 In the new report, Gartner said: "The market consolidated dramatically over the course of 2015. Since 2016, just two providers -- AWS and Microsoft Azure -- have accounted for almost all of the IaaS-related infrastructure consumption in cloud IaaS, and their dominance is even more thorough if their PaaS-related infrastructure consumption is included as well. Furthermore, AWS is many times the size of Microsoft Azure, further skewing the market structure." Under the "Cautions" heading, Gartner said specific expertise is required to implement the Amazon cloud's wide array of services, which is somewhat mitigated by good technical support. "However," the report said, "customers should be aware that while it's easy to get started, optimal use -- especially keeping up with new service innovations and best practices, and managing costs -- may challenge even highly agile, expert IT organizations, including AWS partners."